A business that has at least 50 “full-time-equivalent” employees on an annual basis, the trigger point at which the employer has to offer a plan or pay penalties. The NRA is lobbying for further clarification on the definition, noting that the industry employs a vast number of part-time and seasonal employees, often with irregular hours that are hard to calculate on an annual basis. Defined by the law as anyone who works at least 30 hours a week in a given month, or 130 hours for that month. The industry argues that 40 hours per week is the conventional definition of a full-time job. The threshold for coverage is 50 full-time-equivalent employees. To spare employers from bobbing across and below that threshold because of part-time or seasonal work, the law allows business to look back three to 12 months to determine if a given employee met the 30-hours-per-week standard. In essence, the provision allows the business to decide if it meets the 50 FTE requirement based on recent history rather than any given day’s employment. Basically, does the plan provide enough to the employees and their dependents? The law defines minimum value as the total allowed cost of benefits of a plan. For an offered plan to be acceptable, it has to pay at least 60 percent of acceptable medical expenses. The government is eying three ways of determining whether a plan meets the minimum value test, including one that requires an online visit to a Department of Health and Human Services calculator. That’s affordable from the employee’s standpoint, not the employer’s. For a plan to be affordable, the employee’s contribution to the cost must not exceed 9.5 percent of his or her household income for individual coverage. The industry and other employers have argued that they do not know an employee’s household income. Regulators have proposed allowing employers instead to use W-2 wage statements as the basis for the 9.5 percent calculation. Protection for employers who base their definition of affordability on employees’ W-2 wage statements instead of household incomes. In essence, the employer would have some leeway if they used the more feasible means of computing the 9.5 percent threshold (see above). As opposed to an employer mandate. 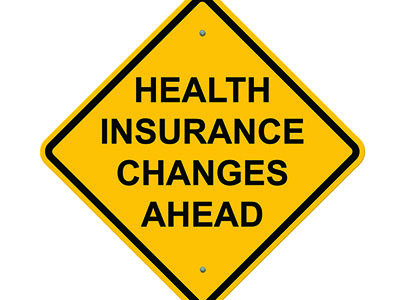 The law requires every adult to obtain and maintain “minimal essential health care coverage” for themselves and their dependents starting in 2014. One route toward coverage is participating in a plan offered by employers, who are obliged to offer a program if they have more than 50 FTEs. Enrollment is up to the employee. One of the more controversial components of the law, the provision requires employers of more than 200 FTEs to automatically enroll new full-time employees in the company’s healthcare plan on the 91st day of their employment. Employees have to be alerted that they can opt out. Critics say the stipulation short-circuits the process. The Department of Labor has responded by saying the auto enrollment requirement won’t go into effect until final rules can be promulgated. A requirement of nearly every employer—not just ones with at least 50 FTEs—to alert employees about the ways of accessing healthcare exchanges (think marketplaces) in their area. The Department of Labor has said that it intends to provide the business community with model notices that employers can use as templates.